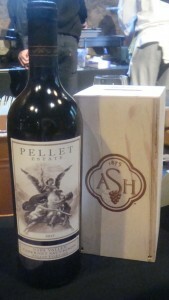 The premium wines of Appellation St. Helena (ASH) shone brightly once again at bASH 2016, the local food and wine pairing competition where attendees’ votes determined the ultimate winners. 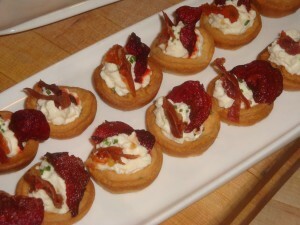 During the event, over two dozen premium wineries joined forces with a combination of local professional culinary talent as well as 18 teams of “Rising Star” students from the Culinary Institute of America. Cabernet Sauvignon, Petite Sirah and Zinfandel wines were paired up with Albondigas, Beets, Pork Belly, Roasted Lamb and multiple Steak preparations for an evening of savory delights. Our favorite combination of the night? That would be the Pellet Estate 2013 Cabernet Sauvignon and Short Ribs on Polenta Cakes with a Mushroom Reduction and Citrus Lime Sauce served up by CIA Student Chefs Taylor Guglielmino (Los Angeles, CA) and Samuel Hamlin (San Diego, CA). This pairing ultimately came in 2nd place during the public vote. Keep reading and we’ll tell you more about our favorite wines and dishes that evening. To deepen your own understanding of this region’s offerings, please check out the appellation’s wineries, their wines, and some of Napa Valley’s outstanding Chefs. We’ve also got plenty of student chefs whose career progressions you may want to start tracking. At bASH 2016, it was clear once again that a lot of thought (and effort) had gone into the chefs’ creations of delicious and well-executed food offered alongside the wines (because really, who was expecting Vol au Vents made with bone marrow?). There were 26 Food and Wine Pairings at bASH 2016 and we’ve listed our most favorite combinations below (in addition to the Short-Ribs-and-Cabernet combo described above). Each time, we were impressed three ways: the wine itself, the food alone, and how well the elements of the food offering complimented the flavor nuances of the wine. We were even introduced to a cheese we’d never had before: Amaribella, a delicious semi-soft, washed rind cheese from Jacobs & Brichford Farmstead Cheese in Indiana. 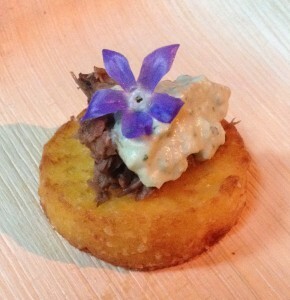 Anomaly Vineyards (St. Helena, CA) – 2013 Cabernet Sauvignon paired with a Rosemary Bone Marrow Vol au Vent Stuffed with Braised Beef and Rosewater Crème Fraiche from CIA Student Chefs Brian Schofield (Warwick, RI) and Christopher Wilbur (Camarillo, CA). Calafia Cellars (St. Helena, CA) – 2010 La Reina Estate (Cabernet Sauvignon, Petit Verdot, Petite Sirah, Malbec) paired with “Bacon Jam ‘n’ Lamb,” a serving of Brioche with Fromage Blanc Mousse, Coffee/Chocolate/Rosemary Crusted Lamb, Bacon Jam, Crème Fraiche and Microgreens from CIA Student Chefs Jenna Seco (Montvale, NJ) and Randolph Lee (Walnut, CA). Spottswoode Estate (St. Helena, CA) – 2013 Spottswoode Estate Cabernet Sauvignon paired with an Amaribella Tart from CIA Student Chefs Courtney Moutter (Oroville, CA) and Colleen Irwin (Loretto, MN). 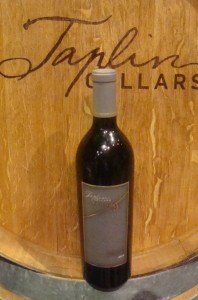 Taplin Cellars (St. Helena, CA) – 2012 Taplin Terra 9 Cabernet Sauvignon paired with Roasted Beef Tenderloin, Caramelized Green Garlic & Spring Onions, Blue Cheese Mousse, and a Balsamic Glaze from Market St. Helena. 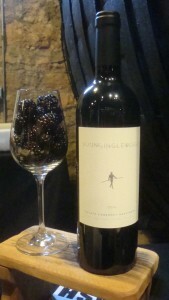 Young Inglewood Vineyards (St. Helena, CA) – 2012 Estate Cabernet Sauvignon paired with a Triple Berry Voulevant made with Fig Balsamic Glaze and a Compote of Strawberries, Blackberries and Raspberries from CIA Student Chefs Arely Sanchez (San Diego, CA) and Gabriela Mota de Alcantara (Los Angeles, CA). If you are looking for excellent current wines from the St. Helena Appellation, we found many at bASH 2016 and highly recommend you seek these out in stores, at a restaurant, or from the wineries themselves. Please follow the links below to the wineries’ websites to learn more about wine availability and whether or not the winery has a tasting room open to the public. For the fifth year in a row, we had a terrific time at Appellation St. Helena’s bASH, a convenient way to try wines from across the appellation all conveniently gathered into one location. 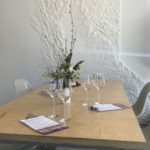 The wines were outstanding, many of the dishes made us want seconds, and we were excited to find creative and interesting pairings of food ingredients and spices with the flavor components of the wines they were partnered with. 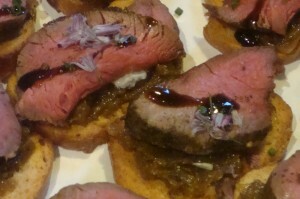 We also want to make sure to recognize the talented people involved in the food and wine pairings which won First Place at bASH 2016 after all of the attendees voted: Rombauer Vineyards 2012 Stice Lane Vineyard Cabernet Sauvignon and a “Steak Dinner” from CIA Student Chefs Robin Hoagland (Napa, CA) and Dan Ziebell (Duluth, MN) and (for the professional chefs/caterer pairings) Del Dotto Vineyards 2013 St. Helena Mountain Cabernet Sauvignon paired with a Meatball Hero from Del Dotto’s Executive Chef Joshua Schwartz. Appellation St. Helena is a non-profit organization of over 50 winery and grape grower members who actively promote their wines and the local community through charity events, wine tastings, and community involvement. If you are interested in learning more about the organization and its activities, or to be one of the first to hear about bASH 2017, we encourage you to go here to get onto ASH’s mailing list.